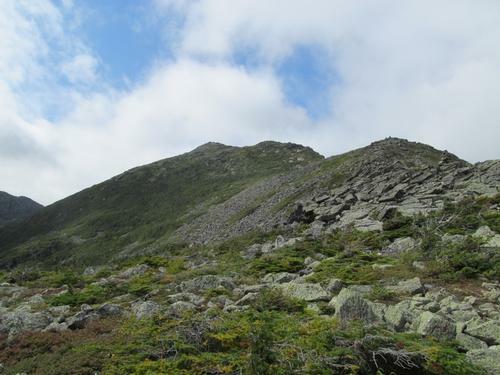 On Saturday, September 1st, I headed up to Pinkham Notch from Sebago Lake to hike Mounts Adams and Madison from the Great Gulf Wilderness using the old, abandoned Adams Slide Trail. 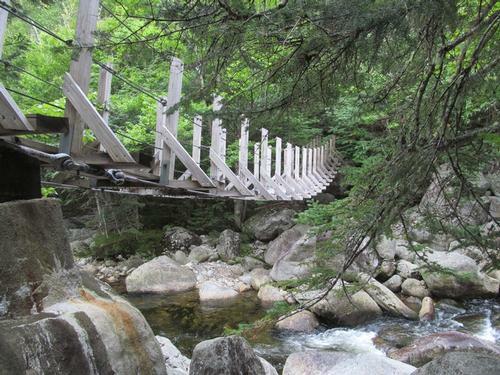 This trail was opened in 1909 and was maintained until about 1971, when it was officially abandoned. I had attempted to hike this trail in April, but there was enough snow on the ground still that I couldn't tell where the actual trail was. 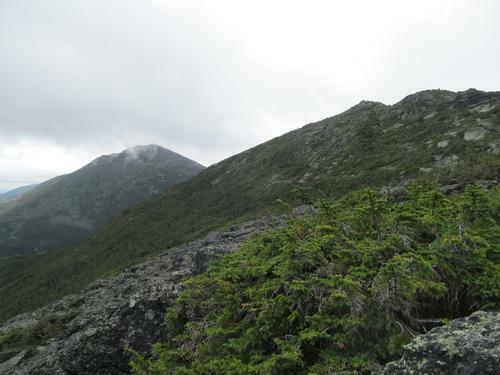 During that hike, I ended up just bushwhacking up the eastern profile of Mt. Adams. Since I still had some unfinished business with experiencing the whole trail, I decided to head out and see it again at a better time of year. 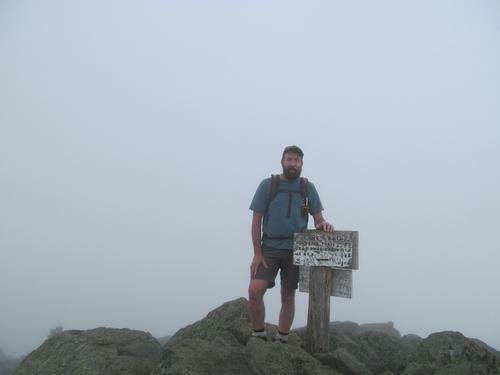 I arrived at the Great Gulf Wilderness Trailhead at about 6:45AM and quickly readied myself. 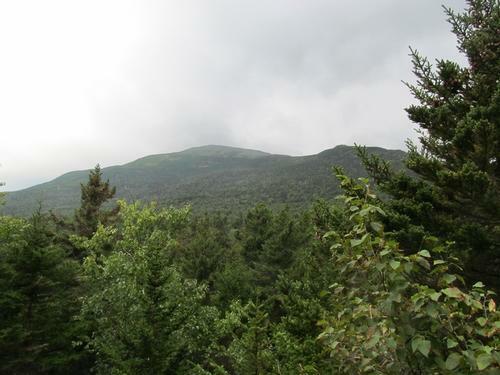 It was overcast, but the peaks were at times partly out of the clouds as I drove through Pinkham Notch. It was also in the mid-50's at the start of the day. 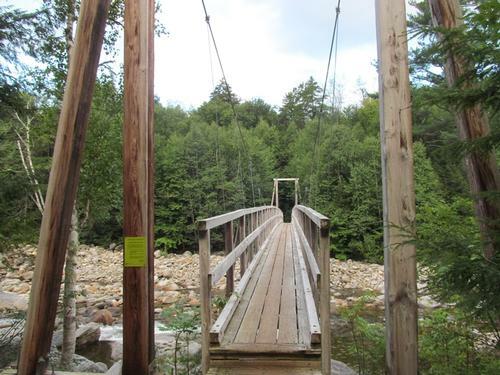 I headed down the path and almost immediately crossed the Peabody River via the suspension bridge. 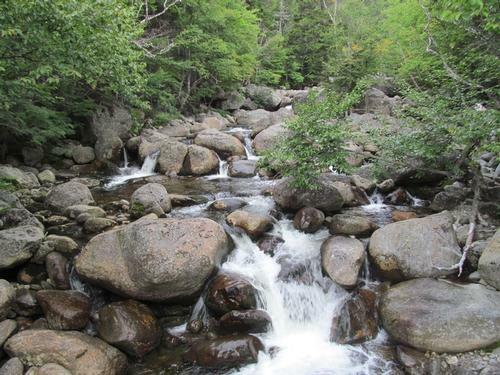 After climbing the opposite bank, the trail joined up with the Great Gulf Trail. 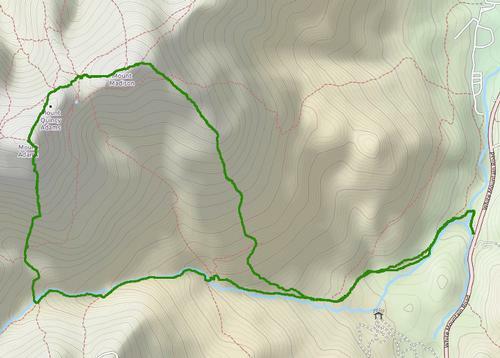 The initial portion of this trail was mostly flat and coincided with a network of cross-country ski trails. This continued until I reached the edge of the wilderness, which I reached at 7:20. 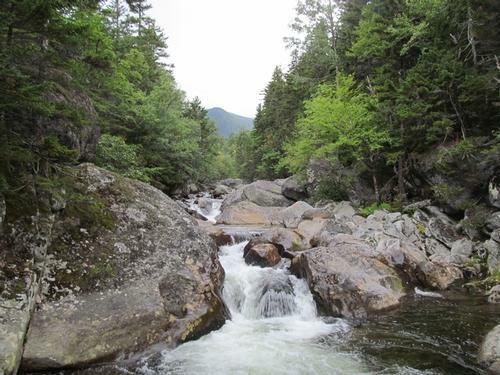 The trail continued at an easy grade following the West Branch Peabody River all the way up. In about 25 additional minuted I made it to an opening in the trees where there would be a view up towards Mt. Washington. 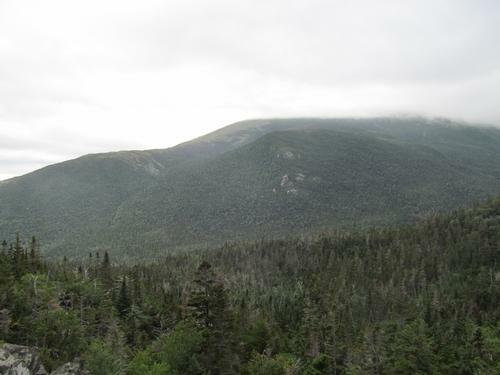 This was just before the Osgood Cutoff Trail, but there was still a low cloud cover. 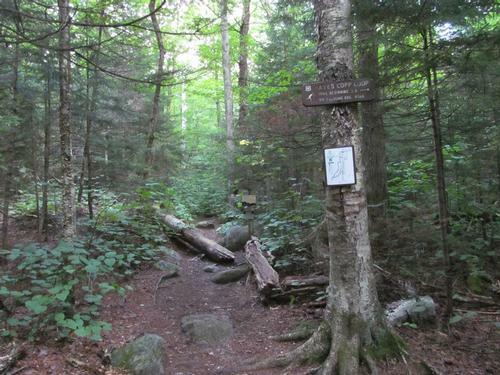 For a very short section, the trail followed the AT, where there was a second suspension bridge and passed through the junctions with the Madison Gulf Trail. 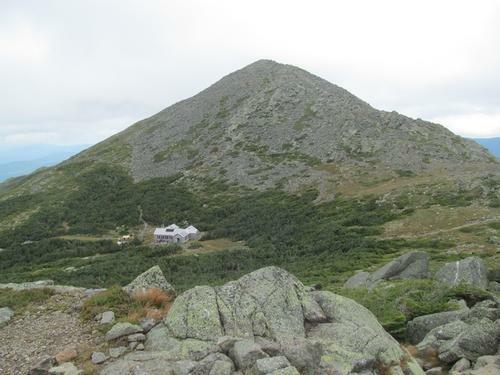 Continuing along the Great Gulf Trail, I reached the junction with the Six Husbands/Wamsutta Trails at 8:50. This was where I left the Great Gulf and turned towards the Six Husbands Trail. The trail crossed the main river one final time and it was only 20 minutes further until I reached the Buttress Trail. 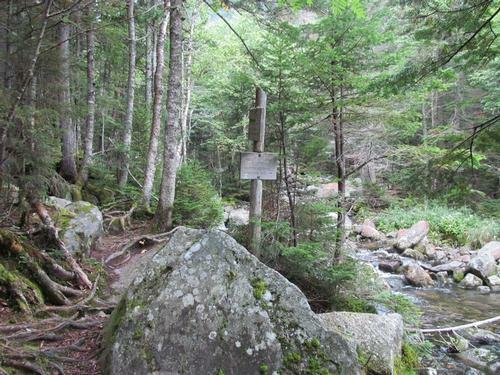 This trail crossed a small, side brook before climbing to the left (there was a tent site with a number of herd paths heading in different directions here). At 9:15 I emerged out onto the open talus field. 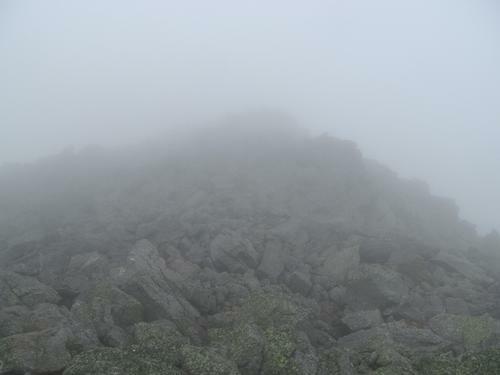 There would normally be great views down the wilderness and over to Washington, but again it remained too cloudy. I immediately started to look around for a red blaze marking the old Adams Slide Trail, which I had read about. 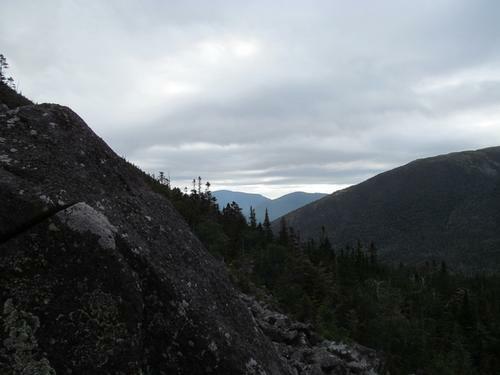 I climbed the talus field and entered the woods to the south. Just in the woods, I noticed a faint herd path, but didn't see a blaze. I followed the path back down and it turned out the blaze was on a rock on the Buttress Trail, just prior to the trail emerging out on the talus field. Having found the start of the old trail, I started climbing. 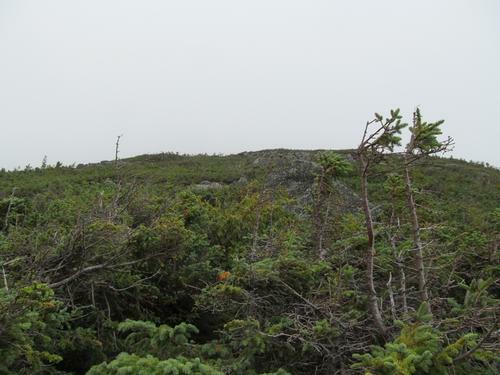 Initially, the trail was very faint, but it soon became a more obvious overgrown slide with a clear path up it. In another 10 minutes I came across another red blaze and I continued on. 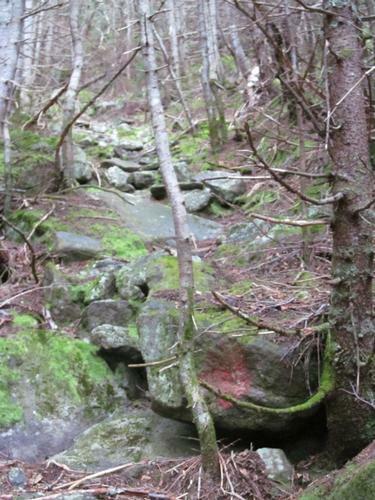 The trail remained very easy to follow for the most part, but at one point the slide and path appeared to bear left. I followed but this quickly stopped. I had read about an area, where you needed to stay to the right and this was apparently it. 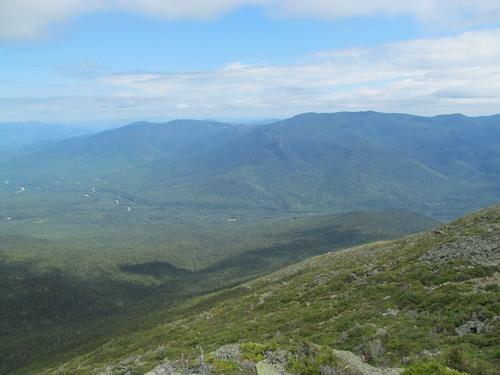 Instead of descending back, I just bushwhacked a little bit to the north and quickly found the trail again. 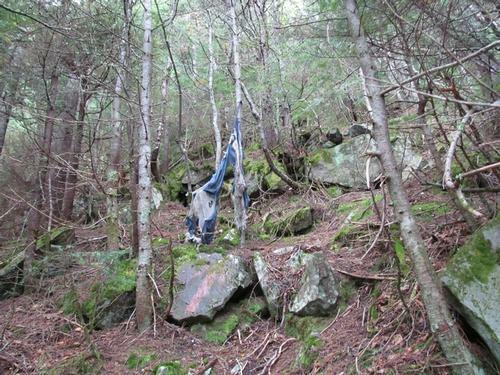 A little further up the slide there was a large red arrown painted on a rock and an old tattered hammock hanging in the trees. Finally at 10:10, I came out of the trees into a more open area and then into low growing scrub. 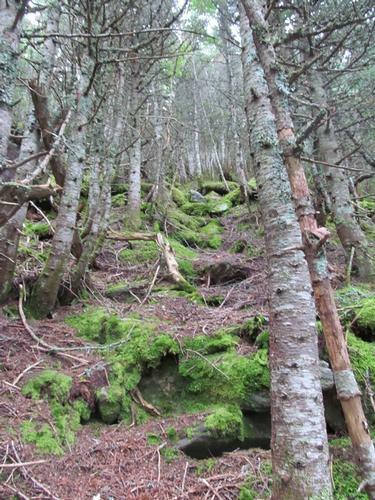 The trail was very overgrown through here, but if you looked carefully through the scrub you could still make out the path and at times red blazes under the pine. 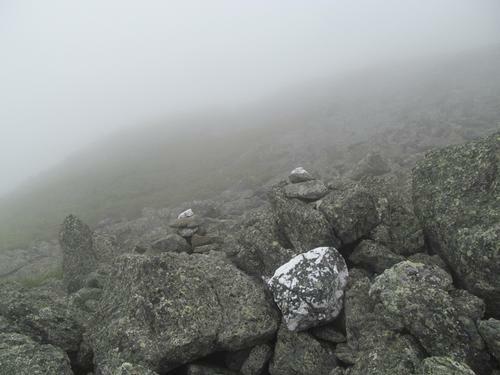 In another 15 minutes cairns started to appear as it was mostly open rock fields. 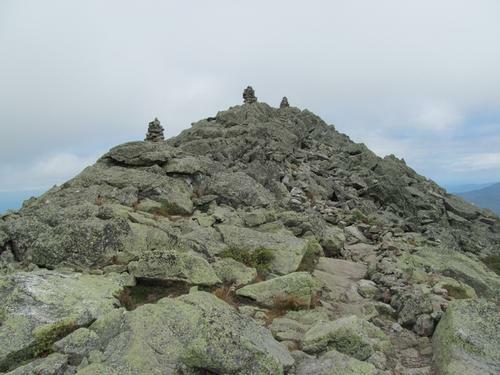 There were sufficient cairns and red blazes that the old path could still easily be followed above treeline (although one really only has to head up!). 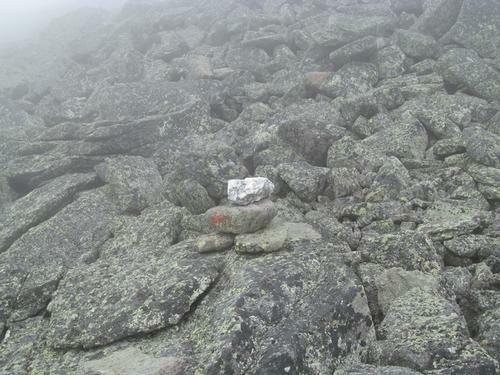 At times, particularly as I approached the summit, it became a rock scramble. 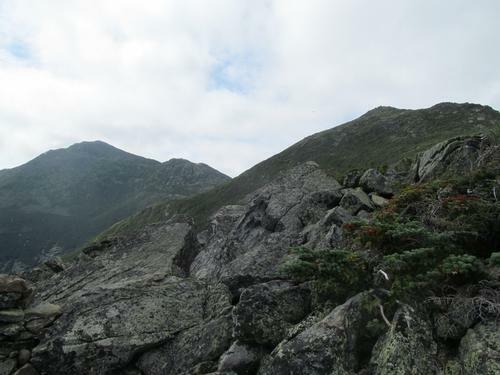 At about 11:30 I started to hear voices and subsequently ran into a group of hikers coming up the Star Lake Trail, where the old trail intersected. 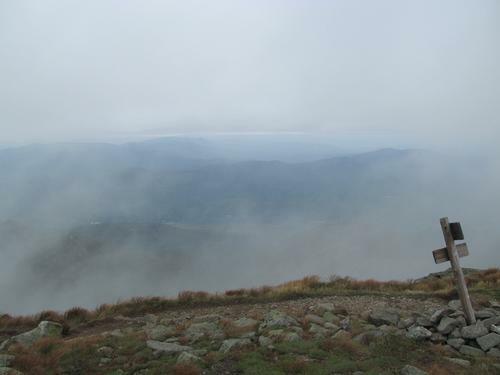 In only about 15 more minutes I was standing on top of Mount Adams (5774'). Despite the fact that there were no views, it was quite crowded. 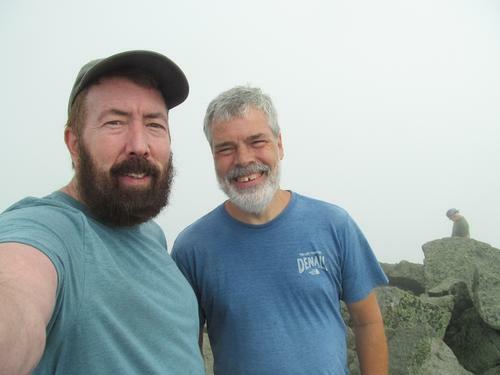 I was chatting with some fellow hikers, when about noon, Dan showed up with a friend (he was hiking Jefferson and Adams with a friend). I hung out until about 12:15, when it was time to keep going. 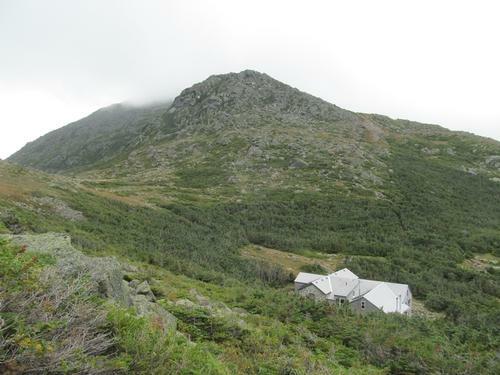 As I headed down the Air Line Trail extension, the clouds began to lift off of Mount Madison and I could soon make out the hut below and the Carter peaks across Pinkham Notch. I reached the hut by 1PM and headed inside for a break and to re-fill my water. 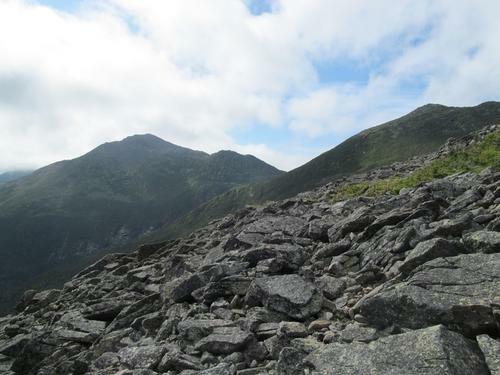 After a short 10 minute break, I headed back out for the climb up Mount Madison. 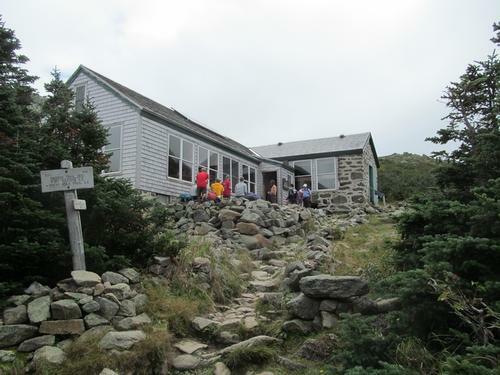 The hut was crowded and there were alot of people on this trail without packs just going up and back. 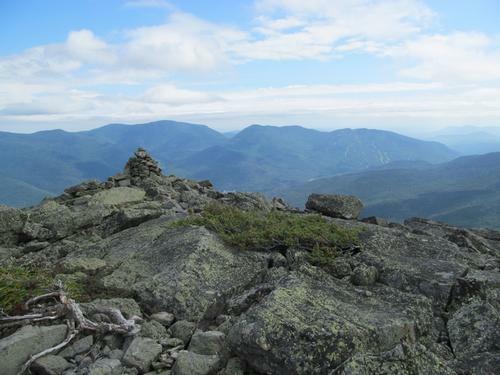 I reached the summit of Madison (5367') at 1:35. 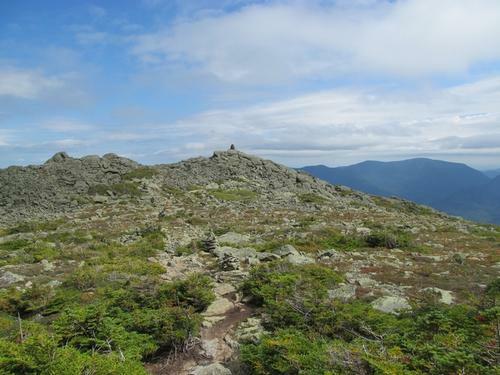 This peak was also pretty crowded and even though it was late in the day, I met a number of hikers who were still intending to do the traverse. 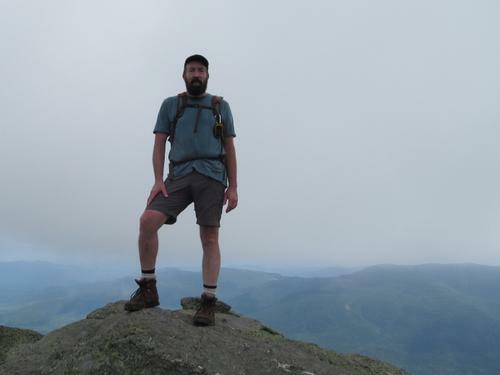 I hung out again chatting for a bit before I finally started down by descending the Osgood Trail (AT). 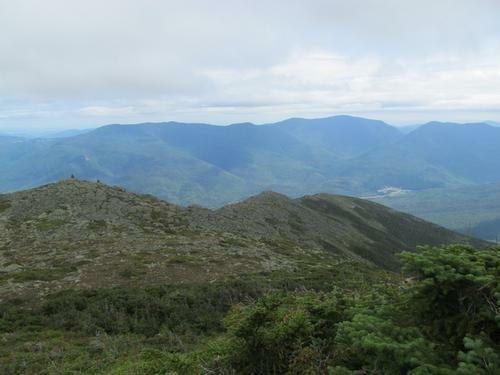 While I had taken this trail from the Howker Ridge Trail, this was my first time using it all the way down. It was rough and rocky for a good distance across the ridge and it wasn't until about 3PM when I finally descended into the trees. 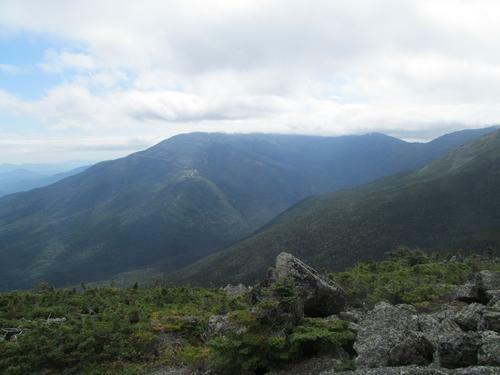 Luckily along the way Mount Adams emerged from the clouds and the ridge was bathed in sunshine. 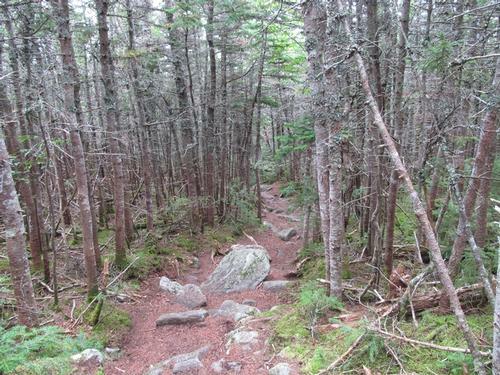 Once in the treeline, the trail was a little less rocky, but it was still fairly steep as it descended. 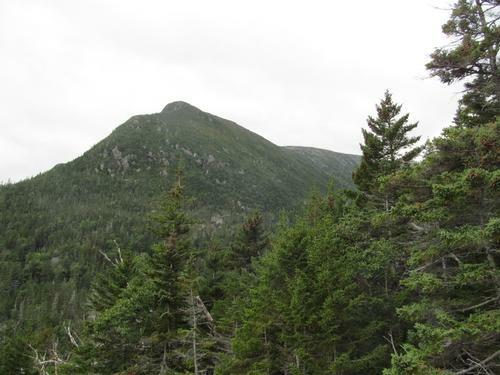 At about 4PM I reached the Osgood Cutoff Trail. 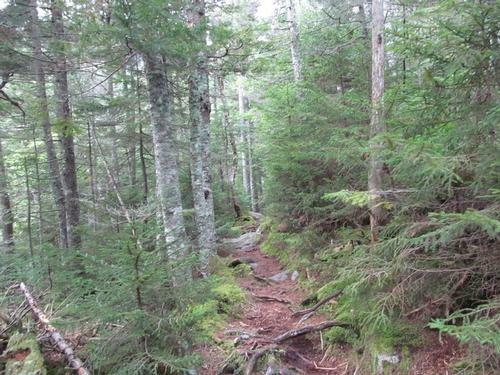 The AT turned onto to this trail, but I stayed on the main Osgood Trail and followed this to the junction with the Great Gulf Trail, which I reached again at 4:25PM. Following the Great Gulf Trail back, I reached my car again at 5:10PM. It was brilliant to finally get to experience the entire Adams Slide Trail. 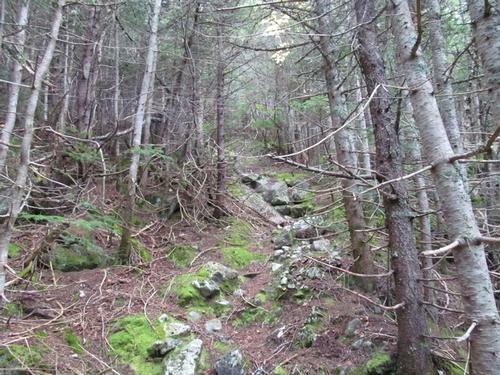 While it was not a well-worn trail, like other abandoned trails, it was still marked well enough to follow through the overgrown slide and above tree-line. 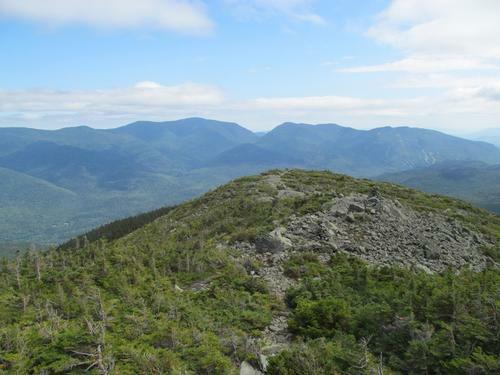 Surprisingly, it did not seem all that steep or difficult for being recognized as one of the steepest trails in the White Mountains at one time. 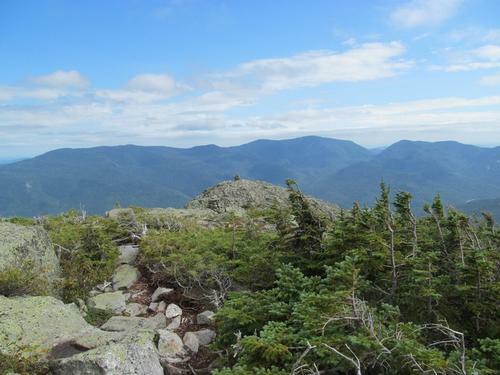 Mileage and Elevation Gain: Approximately 12.9 miles with about 5100 feet cumulative elevation gain.